Selecting markets to target for international business development is an art. There are many factors to consider and weigh. But none may be more important than demographics. 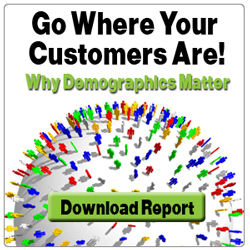 Understanding the demographic trends in a market is key to understanding its long term potential. Every market has negatives, so what is the opportunity that you balance? Is there a fool-proof answer? Of course not. But armed with all the information in our eBook you'll have a better understanding of how demographics should fit into your planning.